Product prices and availability are accurate as of 2019-04-22 13:15:56 UTC and are subject to change. Any price and availability information displayed on http://www.amazon.com/ at the time of purchase will apply to the purchase of this product. 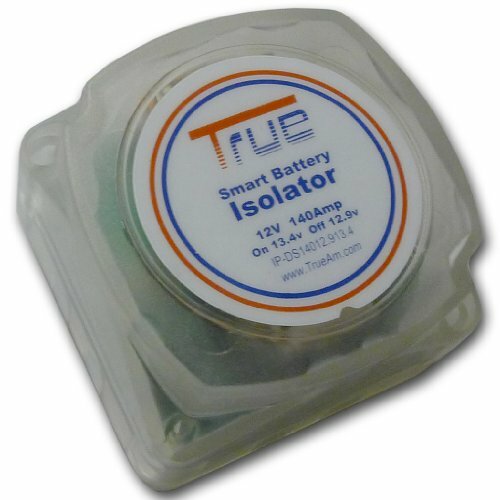 A smart isolator is the ultra-simple and most technologically advanced method of automatic battery isolation. These units can be installed between batteries with a common ground to automatically control the charging process to the batteries but continue to provide isolation when a charging source is unavailable. The small size and rugged construction of these units allow for quick simple installation for even the most novice DIYer. The smart isolator is also "Dual Sensing" which senses the charge of both batteries. If either battery is receiving a charge, e.g. a battery charger is connected to the auxiliary battery; the relay will engage and charge both batteries. The advanced technology always insures that the first battery is fully charged (13.4v) before connection is made to the second battery. This prevents problems that may result from your charging source being too low in amps to charge all batteries as once. If placed in linear sequence between each battery the isolator units can provide proper charging for several batteries in a multiple battery setup such as in larger boats that may have 2 or more house batteries. 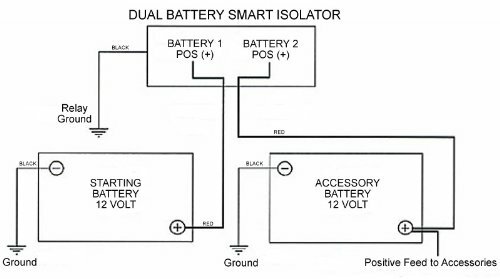 How it works: The smart isolator allows two batteries to be charged at the same time. 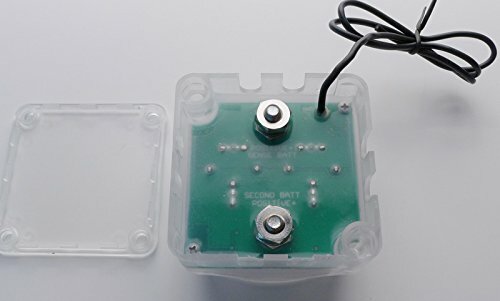 When the engine is started and either battery reaches 13.4 volts, the relay engages, allowing two battery banks (start and accessory) to be charged simultaneously. When the voltage drops below 12.9 volts (eg the engine is stopped), the relay disengages, separating the batteries. This system eliminates the possibility of draining the start battery and protects sensitive electronic equipment powered from the house battery from harmful engine start up spikes.